-- It's F1 weekend in town! 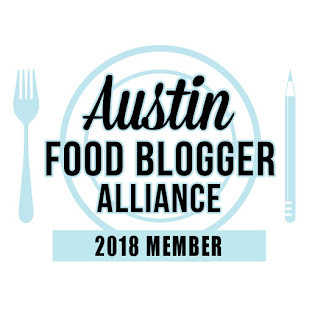 A reminder that the Austin Food Blogger Alliance has a GREAT restaurant guide, all prepared by your local food bloggers! My contributions are food trailers in the south part of town, as well as restaurants. -- Speaking of Thanksgiving, I was "invited" to a Thanksgiving pot-luck. A virtual one! My friend The Kid Can Cook organized her blogger friends to each write a post on one of their favorite Thanksgiving dishes, including my pecan pie! You see all the dishes here, and you may find a new favorite to try this year. 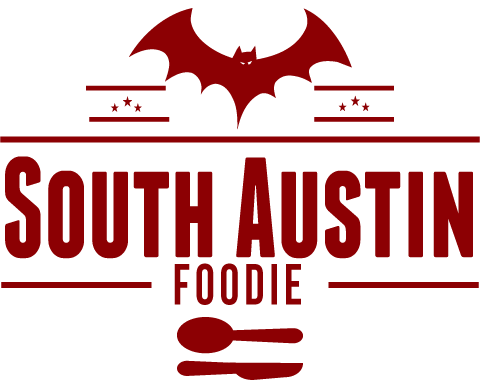 -- Eater Austin has their (well, the readers picks) picks of the top trendy spots, the 2012 Eater Awards. -- Fonda San Miguel is holding a wine and port pairing dinner on December 5th with Niepoort Wines, $85/person. -- The Cutie Pie Trailer is back in business at the Bouldin Creek Food Park, 1209 S. 1st Street. -- Zen, the Japanese fast food restaurant is changing concepts, becoming Lucky Robot, which will officially open November 28, emphasizing Harajuku fashion styles, iPad ordering, and a lot of Japanese street food, most of which will be priced under $10/dish. -- Out in Fredericksburg, well-known pastry queen Rebecca Rather has opened her new spot -- The Pink Pig, open for B, L and D. No link yet on the website to the menu, but from the copy I've seen, it looks fantastic, I just wish it was in Austin! Their Facebook page has a little more info regarding hours, etc. -- New Thai spot Sway to officially open December 9th at 1417 S. 1st Street; check out their tasty looking menu too! -- Sagra has sadly announced they are closing (though looking for a place to relocate); their current landlord will not renew their lease. Read Sagra's letter posted on their homepage. -- La Boite, the food "trailer," made out of an old shipping container (before it was cool!) is closing due to their inability to find a suitable wholesale baker for their needs. -- Uncle Billy's Brew and 'Cue on Lake Travis, by the Oasis and Soleil. -- Collie's Burgers, formerly part of the South Austin Trailer Bazaar has apparently closed with the closure of this trailer park. -- Chef John Bullington and the Alamo Drafthouse have parted ways. No word yet on what's next in store for him, but he's got lots of love around town! That's really sad to hear about Collie's. arguable the best hamburger in Austin.